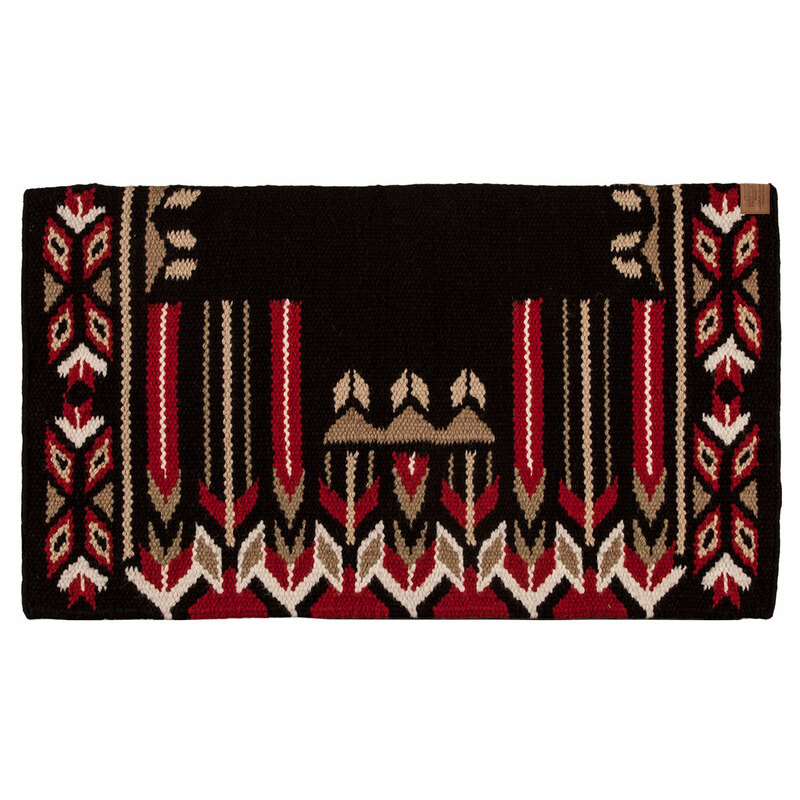 Good Medicine limited edition saddle blankets are hand-loomed in color pallets sure to please the most discriminating customer. The Good Medicine blankets were inspired by the Native Americans of the Plains. The Good Medicine Collection™ offers today's "warrior" the opportunity to saddle their horse with unique hand loomed 100% New Zealand wool blankets that feature the symbols that protected and empowered both horse and rider of the Plains over 100 years ago.